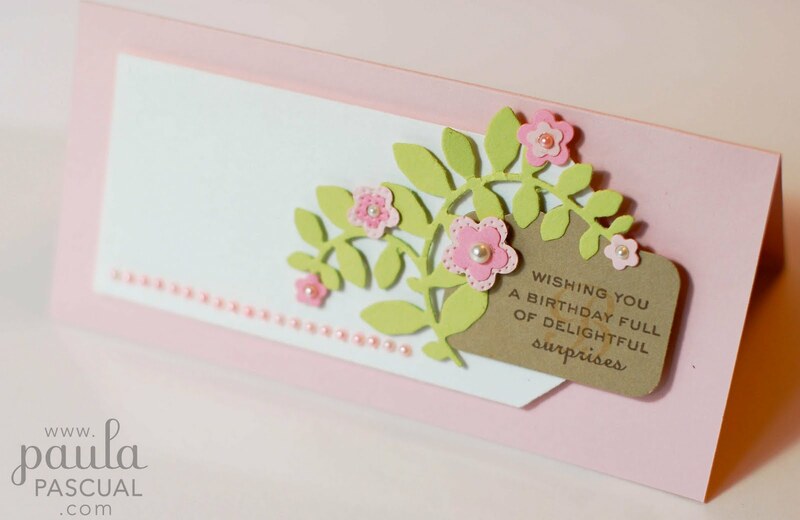 My sort of card, simple but with details and pretty colors. I used for branch the same Sizzix Sizzlets set as the card of two days ago. the flowers were cut using an old Quickutz Die but you could of course use the ones that come with the set or any punch that comes in several sizes such as the Woodware ones. Can you tell I love this color combo? Very cute, very pretty. Looks simple but takes a lot of time. Sugared Almond colours, mmmmm!